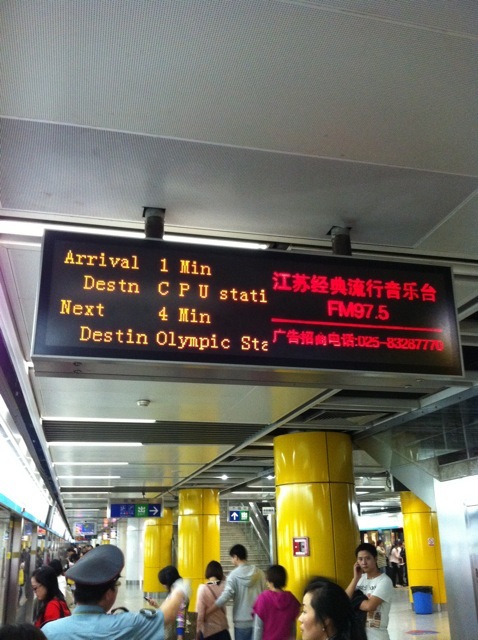 Metro / Subway | Chinglish Alert! 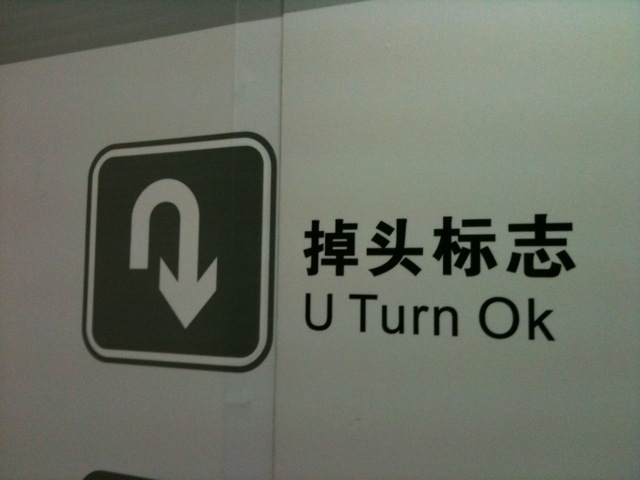 If there is any one place, or any one Metro system in the world, where a U-turn is OK… that’d be the Tianjin Metro! Well, OK… the Chinglish is nearly as real as the English. But hey, there’s a minor gap between the two lingos. A U-turn is 掉头 (diao tou) in Chinese, but what about the 标志 (biao zhi)? That’s Chinese, simply, for “signpost”. …Because the signage said so!